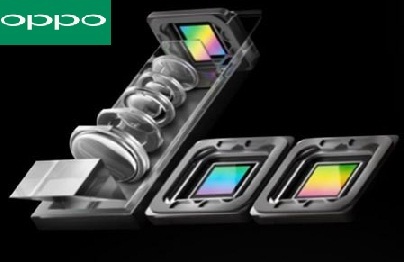 Exemplifying its commitment to innovation and adhering to its belief of constantly elevating user experience, OPPO, a leading global smartphone brand recently announced the 10x hybrid zoom technology, the first in the world to do so, along with industry leading developments in 5G technology at the Mobile World Congress 2019. Forging its own path, OPPO has continued its streak of innovation by introducing several 'firsts' in one of the most competitive consumer industries in the world. From the world's first periscope-style dual camera technology to the world's first motorized camera smartphone, the handset manufacturer has been in the vanguard of many first revolutionary technologies. OPPO has always been one of the pioneers in smartphone camera technology and it became the first brand to introduce the 5x Dual Camera Zoom at the Mobile World Congress 2017 by bringing 5x optical zoom to smartphones. Instead of having a system that protrudes from the back of the cameras, OPPO took inspiration from periscopes. Pillared on its constant innovations around software, optics, and image sensors, OPPO has rose to become a smartphone behemoth, not only in terms of brand reputation but also with regards to the global sales records. And now, pushing the envelope even further, OPPO's 10x hybrid zoom is a new technology created with industry-leading camera specifications including a triple-lens camera structure consisting of a telephoto lens, ultra-wide-angle lens, and main camera. To provide further value to users, OPPO also introduced Optical Image Stabilization (OIS) on both the main camera and the telephoto lens to achieve higher, anti-shake accuracy that brings people closer to the world around them so that they never miss the unmissable. With innovative features, focus on consumer requirements and catering to the budget and mid-tier segments, OPPO has always ensured to meet the consumer demands at various price points spanning from as low as Rs. 10,000 going all the way up to Rs. 60,000. From selfies to immersive displays, and from stunning designs to VOOC technology, the company has ensured that it's able to meet the ever-changing requirements of consumers. Stocked with intuitive features and useful upgrades OPPO today leads the way in smartphone camera technology leaving no stone unturned when it comes to pushing boundaries to try to bring smartphones with the best camera technology for its users. OPPO's AI-powered phone cameras, the 'group selfie' trend and other high-end technology features have made it a leader in bringing smartphones with exceptional camera capabilities. Additionally, OPPO's unwavering focus on improving the camera quality, particularly to ensure that users get the best self-portraits has helped OPPO achieve such a successful run in the Indian smartphone market. OPPO has been a major contributor in solidifying the foothold of Chinese smartphones in India. Offering great specifications and features at reasonable rates has contributed towards the growing trust and preference for OPPO in India today. Also, its aggressive promotional strategy has further propelled the ever-growing popularity of OPPO smartphones in the minds of its core audience-the youth. And as an initiative in the 'Make in India' project, OPPO is all set to establish an Electronic Manufacturing Cluster at Greater Noida to manufacture electronics and accessories locally.